The rewor­king of second-hand ob­jects plays a pi­vo­tal role in Ca­ro­li­ne Slot­te´s prac­tice. She ma­ni­pu­la­tes found ma­te­ri­als, pri­ma­ri­ly ce­ra­mic eve­ryday items, so that they take on new meanings. The ten­sions betwe­en the rec­og­niza­b­le and the enig­ma­tic, the or­di­na­ry and the unex­pec­ted are recur­ring the­ma­tic con­cerns. More re­cent explo­ra­tions reve­al an expan­ded inte­rest in ma­te­ri­al per­cep­tion and ma­te­ri­al rec­og­nition, teas­ing out si­tua­tions whe­re the ini­ti­al vi­su­al iden­ti­fi­ca­tion fails re­sul­ting in an un­sett­ling sta­te of ma­te­ri­al con­fu­sion. De­mon­stra­ting an enga­ged sen­si­ti­vity towards the as­socia­tions, mem­ories and nar­ra­ti­ves in­he­rent in the ob­jects, Slot­te´s intri­ca­te phy­si­cal in­ter­ven­tions al­lows us to see things we would ot­her­wise not have seen. Ca­ro­li­ne Slot­te (b. 1975 in Hel­sin­ki, Fin­land) is cur­rent­ly Pro­fes­sor of Ce­ra­mic Art at Oslo Na­tio­nal Aca­de­my of the Arts, Nor­way. Slot­te holds an MA in Ce­ra­mics from Ber­gen Aca­de­my of Art and De­sign, Nor­way, in ad­dition to edu­ca­tion from Den­mark and Fin­land. From 2007 to 2011 Slot­te was a re­se­arch fel­low in the Nor­we­gi­an Ar­ti­s­tic Re­se­arch Fel­low­ship Pro­gram­me. Af­fi­li­a­ted with Ber­gen Aca­de­my of Art and De­sign, Dept of Spec­ia­lized Art, she was also a mem­ber of the in­ter­disci­pli­na­ry re­se­arch pro­ject Crea­ting Art Va­lue, fun­ded by the Re­se­arch Coun­cil of Nor­way. 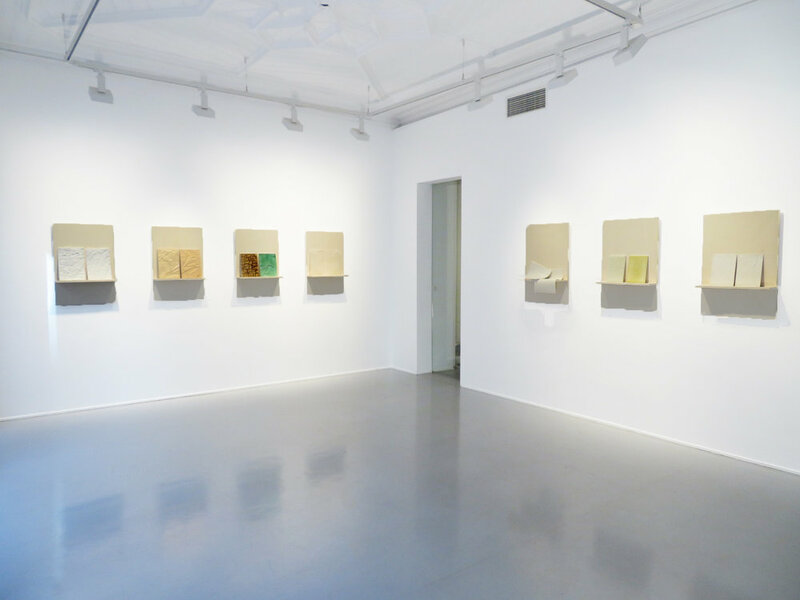 Slot­te´s works have been ex­hi­bited in­ter­na­tio­nal­ly and acqui­red by, among ot­hers, the Mu­se­um of Arts and De­sign in New York, the Vic­to­ria & Al­bert Mu­se­um in Lon­don, Na­tio­nal­mu­se­um in Stock­holm, Röhss­ka Mu­se­um in Got­hen­burg, the De­sign Mu­se­um in Hel­sin­ki and the Mu­se­um of Deco­ra­ti­ve Arts in Oslo.